PHILLIPSBURG, NJ--(Marketwire - September 20, 2010) - Mallinckrodt Baker, Inc. today announced the appointment of Robert Harrer as executive vice president, chief financial officer and chief administrative officer. Mallinckrodt Baker manufactures and markets high-performance chemistries and materials around the world under two well-known and respected brand names, J.T.Baker® and Mallinckrodt Chemicals®. These products are widely used in biotechnology and pharmaceutical production; microelectronics and photovoltaic manufacturing; and in research, academic and quality control laboratories. Headquartered in New Jersey, Mallinckrodt Baker was acquired last month by an affiliate of New Mountain Capital, LLC ("New Mountain"), a New York-based private equity firm. New Mountain is providing Mallinckrodt Baker with significant financial and strategic resources to support future growth initiatives, which include expansion in current products and markets, and growth through acquisitions. As executive vice president, chief financial officer and chief administrative officer, Harrer will be a focal point for leading the company's transition to a stand-alone entity. He will oversee all aspects of Mallinckrodt Baker's global financial operations as well as the company's information technology (IT), human resources, legal department and other global shared services. Prior to his appointment at Mallinckrodt Baker, Harrer served as a business advisor to New Mountain. 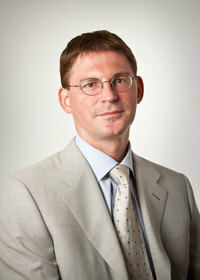 He previously worked with the Rohm and Haas chemical company, serving in several financial leadership positions including chief financial officer for their Electronic Materials business group, financial director of their European region, and as corporate controller / director of financial planning in the company's headquarters. When Dow Chemical acquired Rohm and Haas in 2009, Harrer became controller of the new division and also led the integration of the two finance organizations. "Our plan is to empower Mallinckrodt Baker to accelerate its growth rate and execute an international growth strategy through organic initiatives and add-on acquisitions," said Raj Gupta, chairman of the board of directors at Mallinckrodt Baker and senior advisor at New Mountain. "Robert's financial expertise, management skills and tenure in the chemical and materials industry will be important assets as we expand our reach and our offerings." Ron Harding, president of Mallinckrodt Baker, added, "As we enter our partnership with New Mountain, we have a large runway for growth in the technology driven markets we serve. Robert will have a key role in overseeing the financial strategy as well as our internal transition which will guide the company in the pursuit of our goal of becoming a leading global supplier of performance chemistries and materials." Harrer holds a Master of Business Administration and Mathematics degree from the Albert Einstein University in Ulm, Germany. Prior to Rohm and Haas, Harrer also served at Arthur Andersen & Co., Alcatel S.A. and SKW Trostberg AG in various financial leadership positions. For more information on Mallinckrodt Baker, please visit www.mallbaker.com. Headquartered in Phillipsburg, New Jersey (USA), Mallinckrodt Baker manufactures and markets high-performance chemistries and materials around the world under two well-known and respected brand names, J.T.Baker® and Mallinckrodt® Chemicals. These products are widely used in biotechnology and pharmaceutical production; in the manufacturing of semiconductors, flat panel displays and photovoltaic cells; and in research, academic and quality control laboratories. Mallinckrodt Baker is owned by an affiliate of New Mountain Capital, LLC. For additional information on Mallinckrodt Baker performance chemistries, please visit www.mallbaker.com. Follow us at www.twitter.com/MBI_News. New Mountain Capital is a New York-based private equity firm investing for long-term capital appreciation through direct investment in growth equity transactions, leveraged acquisitions, and management buyouts. The Firm currently manages private and public equity funds with approximately $8.5 billion in aggregate capital commitments. New Mountain seeks out the highest-quality growth leaders in carefully selected industry sectors and then works intensively with management to build the value of these companies. For more information on New Mountain Capital, please visit www.newmountaincapital.com. Mallinckrodt® is a trademark of Mallinckrodt Inc.
Other trademarks are owned by Mallinckrodt Baker, Inc. or its affiliates unless otherwise noted. © 2010 Mallinckrodt Baker, Inc.
About this company Mallinckrodt Baker, Inc.